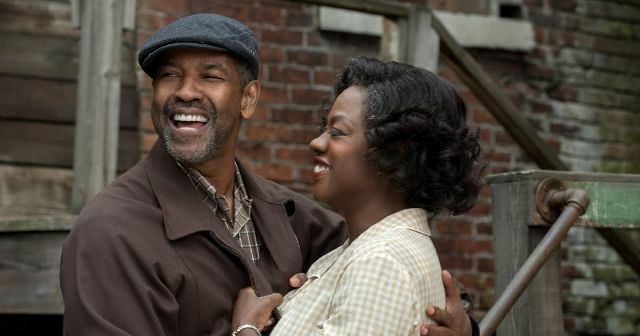 The trailer for Pittsburgh-set family drama, Fences, has arrived and it promises locations as intricate and expressive as stars Denzel Washington and Viola Davis’ performances. Unlike many stage-to-film adaptations, which opt for stale indoor settings, the film highlights the texture of the city. Anchored by Washington’s emotive voiceover, the camera follows characters through their work places, homes, and the alleys that connect them, providing the sort of visual context that isn’t possible onstage. For this reason, the new film looks primed to exceed the expectations set by the Tony Award decorated play it’s based on. The drama follows the strains of a 1950’s family as they navigate the complexities of race, family life, and class in the era. Washington and Davis play a couple grappling with their responsibilities as parents when their son (The Leftovers’ Jovan Adepo) attempts to enter the athletic world. The film was shot by Cannes-recognized cinematographer Charlotte Bruus Christensen, and Washington directed and co-wrote. Fences will be released six days before the end of the year, and with award show favorites Washington and Davis reprising their Tony-winning roles, it will likely draw significant Academy attention. The film will join other prospective nominees Loving, A United Kingdom, and Lion, perhaps leading this year’s Oscars to be not be quite so white. Watch the beautifully shot trailer below. Previous ArticleTosche Station Episode 20: Rogue One Changes Composers! Next ArticleTV Review: Gotham 03x02 "Burn the Witch"